Is the Nursing Home Properly Managing Your Parent’s Diabetes? According to the U.S. Centers for Disease Control and Prevention, 21 million individuals in the U.S. have been diagnosed with diabetes and another 8.1 million go undiagnosed. A small percentage of these individuals have Type 1 diabetes, while the more significant portion of Americans have Type 2 diabetes brought on by obesity and other lifestyle factors. Considering the proportion of Americans with diabetes, it is no surprise that many elderly individuals in nursing homes need their diabetes properly maintained to avoid injury. Undiagnosed or improperly treated diabetes can lead to devastating consequences, including death. If you believe nursing home staff over- or under-treated your parent’s diabetes causing an injury, contact a San Francisco nursing home neglect attorney at Brod Law Firm today. Your parent’s situation may be protected by California’s elder abuse and personal injury laws. For elderly individuals, particularly those with diabetes, it is crucial to avoid hypoglycemia, which is when a person has detrimentally low blood sugar. 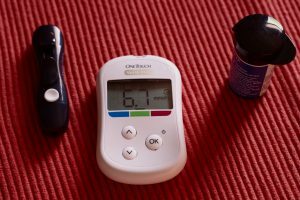 A normal blood sugar level ranges from 70 to 110 milligrams per deciliter. A diabetic patient’s goal depends on a number of factors and should be set and monitored by a physician. Hypoglycemia can occur when patients are administered too much insulin or another drug that lowers blood glucose levels. Hypoglycemia can lead to fatigue, shakiness, sweating, anxiety, heart palpitations, irritability, and sleep disturbances. If the condition is left unchecked, it can lead to confusion, blurred vision, seizures, and loss of consciousness. It can be difficult to notice these signs in older patients because they could have poor vision and suffer from memory loss or dementia, which makes them seem confused already. This is why it is so important that nursing home staff regularly test a patient’s blood sugar, monitor his or her diet, and administer the appropriate amount of insulin or another medication. Simply giving the patient the same amount of insulin every day is not properly treating his or her diabetes. Hyperglycemia is the condition of having detrimentally high blood sugar. This regularly occurs when a patient does not receive enough insulin or does not eat an appropriate diet or exercise. Symptoms of hyperglycemia include fatigue, headaches, increased thirst and frequent urination, and blurred vision. If left untreated, symptoms can expand to include nausea and vomiting, shortness of breath, dry mouth, weakness, confusion, and coma. When this condition is untreated for a prolonged period of time, the toxin build up in the body can lead to eye, kidney, nerve, and heart damage. If you notice signs of hypo- or hyperglycemia in your parent who resides at a nursing home, contact a physician immediately. What is most important is that your mom or dad receives the best medical care available. The sooner the condition is treated, the greater chance of avoiding complications. However, if your parent has suffered an injury due to poorly treated diabetes, contact the San Francisco nursing home abuse attorneys of Brod Law Firm at 1 (800) 427-7020 to schedule a free consultation.